Can you still buy a DIRECTV AM21? Yes, but they’re getting hard to find. 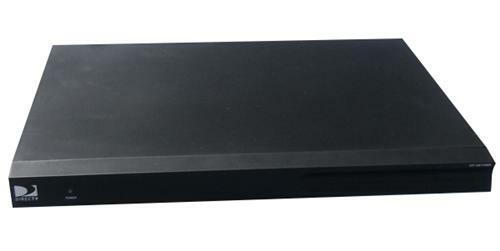 DIRECTV’s AM21 over-the-air tuner module has provided DIRECTV DVRs and receivers with the ability to pull in signals using an antenna since 2009. While it looks gargantuan today, it was designed to sit atop the HR21 DVR in use at the time. The HR21 was the first DIRECTV DVR without built-in over-the-air capability so this became a very important product for DIRECTV. I remember its announcement at CES amongst other high-profile products. I don’t know why, but at some point DIRECTV stopped building AM21s. The model went through a small refresh in 2011 with a different paint job and slightly reworked internals, but didn’t change after that. Honestly, it didn’t need to. This was a product that did its job and did it well. The DIRECTV software limited its ability to pull in channels that weren’t in DIRECTV’s own database, but that was hardly the fault of the hardware. And then… sometime last year, AM21s got harder to find. DIRECTV just didn’t build anymore. Maybe it had something to do with AT&T, or maybe it was the retirement of DIRECTV’s chief technology officer Romulo Pontual, who was a personal champion of the AM21. No matter what the reason, it became clear in the summer of 2015 that there were to be no more AM21s. That’s when your Solid Signal purchasing staff sprung into action. We searched high and low and we believe we have gathered together the largest remaining supply of AM21s available. This is the last source for guaranteed DIRECTV AM21 tuners, the only ones that will work with DIRECTV DVRs and receivers. The price has risen in the last year, but that’s largely due to the prices we’ve had to pay to make sure we have a good stock level. Like any scarce commodity, prices are bound to rise as supplies dwindle. Even at a higher price, though, the AM21 is an awesome value. Not only can you get channels that you can’t get through satellite, but you have a built-in backup in the case of channel blackouts. The folks in Boston who have AM21s were glad to have them when DIRECTV was forced to black out three channels there a few weeks ago. The AM21 is also a one-time purchase, not a lease, so you can continue to use it in the future as you upgrade receivers. It even works with the new HR54 4K Genie DVR. The future of over-the-air integration with DIRECTV hasn’t been written yet, but I have been told there are still some people in the organization who really support the technology, for the same reasons we do — it’s a great backup for channel blackouts. While I don’t know if this means there will be a new over-the-air module in the future, I’d say the door isn’t closed, and that’s good news. Should you choose a chimney strap? Business accounts: Are you having problems with Energy Saver?